“Having this tank in my homestead is the greatest thing that has ever happened to me and my family. I have waited for this tank for five years, it's the breakthrough I have been waiting for all my life. Thank you Lord,” said Dorothy Mathuku, pictured here with her grandson and water tank. Dorothy is a member of the Itulu Women’s Group. She was married at the age of 17 to a jobless man and had 10 children in quick succession. As the primary caregiver of the homestead, she was tasked with toiling the land for the family’s meals. When droughts became too severe she started weaving baskets to make a living because she could not grow anything in her garden without water. “My daughters and I had to walk very long distances in search of water for family use. It was very scary at times because we risked being attacked on the way and even raped or assaulted. My daughters had to miss many school days to help me search for water,” Dorothy recalls. Dorothy’s life changed when she joined Itulu Women’s Group. “I saw the light at the end of the tunnel when I joined this group because I knew that eventually, I would be the proud owner of a water tank. 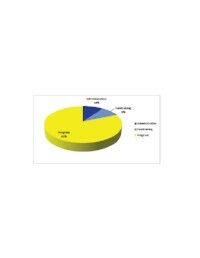 We started saving for water tanks and PFP matched our savings. Soon the PFP work team from Seattle came to our region to build water tank bases and deliver the water tanks. 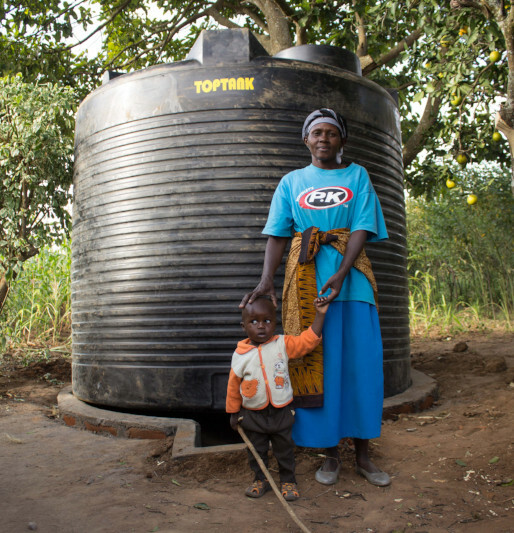 I was among the first ladies to receive the water tank,“ Dorothy explains.